at point of purchase, please visit their shop to confirm the other details. The You Know That You Get 60Gb With Just 500 Naira Via 9Mobile? 9Mobile ( ETISALAT )ChatPak cheat, this is just another alternative for those that prefers night browsing even more. Recommended: Join Our Telegram Channel ==> CLICK HERE. of 1AM-5AM to customers who purchase a data bundle on 9mobile. night data capped at 2GB data to stream via YouTube from 1am-5am, for 30days. Every night in the 30 days, you will be given free 2GB to watch Youtube videos, which equals to 60GB in total. ==> A 9mobile (etisalat_ng) sim card. 3) Next, recharge your sim with 500 Naira airtime. 4) Then, subscribe to #500 monthly data plan. 500MB data with a month validity. Change Connection Protoco to HTTP Change Puerto to 8081. Now Click on GENERATE, then Save. At night from 1AM to 5AM, launch the already configured Anonytun and start flexing with your free 2GB. Fire up any browser and enjoy the YouTube free browsing bonus on all applications and anything that can access the internet. subscription and without having airtime on your 9Mobile SIM card. without data or airtime on your phone. 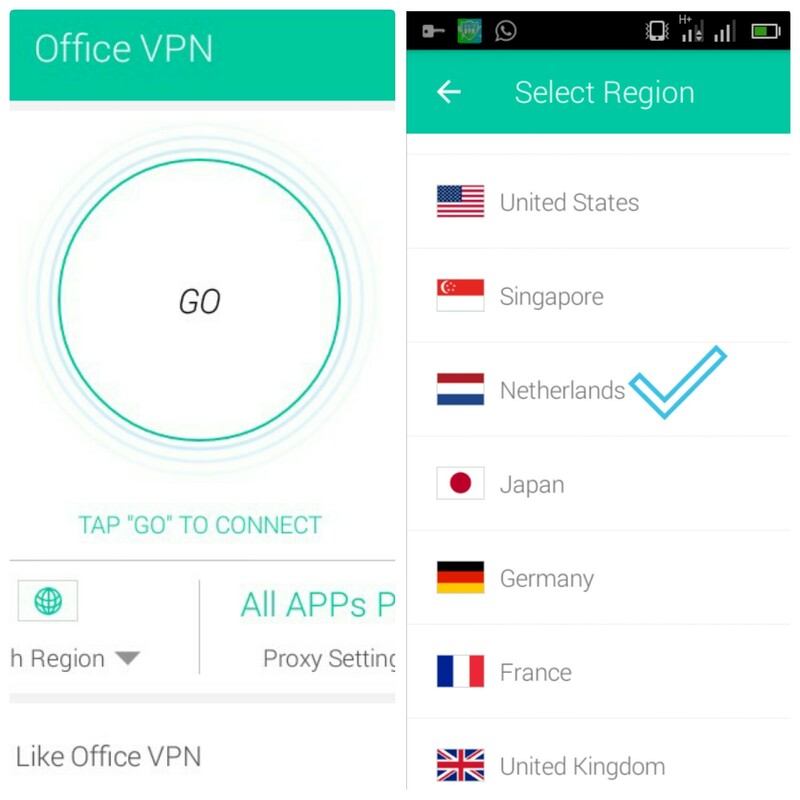 see how this VPN app works. manual configurations in order to use it. button and you will be connected. 3. Make sure your data connection is enabled. WhatsApp Messenger or Telegram for free. NOTE: When connected to Office VPN, you will have just about 29minutes and after that, it will disconnect but to increase the minutes to hours and even more hours, you need to click on "Get More Time". An advert will pop up then you will get more connection time. app to get more ads click. for free with your 9Mobile line via Facebook free basic. Yesterday i noticed the popular redirect.glo.com proxy server was blocked by Globalcom. We all know how this cheat has been of help to us for the past 2 year+, not minding the sluggishness of the network. It's really a sad one though. Without wasting much time, i will be dropping a new working proxy server via AnonyTun v5 vpn. ➡ You need better Glo data network to enjoy the cheats. ➡ Some how fast and sometimes disconnect depending on the network strength. ➡ Working smoothly on AnonyTun vpn v5. ➡ You need an Android phone. This works with 0.0kb airtime balance and you don’t need to have any active data on your sim. Click on Connect, wait few seconds for AnonyTun vpn to connect. Don't forget to Share this post using the Share buttons below. If you have any difficulties setting this up, kindly comment below and I'll reply you almost immediately. New! Method To Browse Free With 9mobile YouTube Streaming Bonus. Purchase of monthly data from 9Mobile this day grants "free access to stream on YouTube". People using 9mobile more-cliq are always given "Free Cliq-4-D-Nite data bonus" to browse from 12 AM to 5 AM. Now, customers who purchased the monthly plan are being given free YouTube Streaming bonus. If you are part of the Free YouTube Streaming bonus beneficiary. With the below tutorial, you will be able to convert the YouTube bonus to 2GB of data and at the same time, browse over the night with it. Click on CONECT, wait a few seconds for AnonyTun Vpn to connect. NOTE that YouTube Streaming bonus is capped at 2GB and you can only use it from 1AM-5AM daily. I understand that most us don't like midnight browsing, but if you have an important files to download, for the data not to waste you can dedicate few hours in the midnight to use up the data with the method above. After installing, go to 'SETTINGS' and click on 'REMOTE TWEAK' to start the installation process. Make sure you have a working internet connection. You can subscribe to any cheap data plan e.g 50MB or 100MB etisalat data plan or connect to any wifi or use your existing data. 1MB is just enough. After installation is finished, go back to the home screen and select the 'REMOTE TWEAK' option. Just between 30 seconds it will connect enjoy! PLEASE NOTE: This Remote Tweak Is Removed If You "force Close" the app Or "exit" the app Or Reboot Your Phone. In That Case You Have To Redo The Above steps Again To Get The Remote Settings Back. If You Get Error Of "remote Tweak Installation Failed" Even When You Have Working Internet Data Then It Is Possible That The Remote Tweak Server is Down. You Can Try Again Later Or After A Few Hours. You Need A Premium/upgrade Account To Use Tweakware For Android Or You Can Use The Free Servers Without Upgrade/payment But You Will Be Limited To 350mb Per Day On Free Servers. upgrading To Premium Costs Only 500 Naira And Gives Access To All The Servers Without Any Daily Limit. 9MOBILE Free 1GB or more is now working perfectly. It is simple and very easy to activate. Some people might still remember the Etisalat promo that whenever a user buys or purchase a phone, there would be a universal pin attached to it and when that pin is sent to 8186, the customer will receive instant free 1GB from Etisalat and is still working till now even in a new dimension that you don't have to purchase a new sim before you can activate this offer. Etisalat is one of the fastest networks in Nigeria especially when it comes to browsing and as they has launched their 4G LTE, their network is now faster than fire or lightning. So as I am typing this right now, I have successfully activated 30GB on my Etisalat sim and currently browsing the internet. This free 50GB or more works on desktop, PC and other gadgets you know that can access the internet. Using modem will be more suitable to connect your Etisalat with your PC as we all know. So let's forget story and see how to activate this offer. How To Activate Etisalat Free 50GB Or More. IMEI number 359838075475772 and if you don't know to how to tweak, kindly click here to learn. After that, dial this code *8186*092840413028038# up to 10 to 20 times. Then you will receive this message saying" Congratulations! Your free 1GB data has been successfully activated, data is valid till 11/03/17." So you can now start browsing. Note: You can repeat the steps on different Etisalat sims and up to100GB. You can check your data balance by dialing *228#. Read also: New Way To Tweak Or Change IMEI Number On Android Devices. 9MOBILE Smartpacks Subscription Codes | Prices | Validity Periods And Plan Bundles. With 9MOBILE Smartpaks, you will enjoy unlimited access to chat, get social, watch movies or live sports for weeks, days and months. So you can never run out of data using Etisalat Smartpaks. So the Chatpak can be used daily and weekly. The Social Me Pak can be used only in the week while. The Video pak can be used within 2hours. So let's see more about them. 1.) Chatpak -» This Pak can be used to access WhatsApp, facebook Messenger, WeChat and all instant messaging apps. It has only weekly and daily plan which can be activated by Dialing*343*5*5# to activate the 50Naira for daily and *343*5*6# for weekly plan of 150Naira. You can opt in by SMS by sending chat3 to 343 as a text message. 2.) Social Me Pak -» This Pak can be used to access facebook, twitter, instagram, eskimi and all instant messaging apps. It has only weekly plan of 300Naira. You can activate it by dialing *343*6*8# or by sending chat6 to 343 as a text message. 3.) Video Pak -» This Pak can be used to access 2 hours of uninterrupted videos from any app. You can used it to watch live sports or any video you like. To activate or subscribe to this Pak, kindly dial*229*3*5# or send mh1 to 229 as a text message. It only costs 400naira and valids for 2hours. Note: 9MOBILE Fair usage policy applies. So these are the Etisalat Smartpaks subscription codes and you can also subscribed to them by dialing *200# from your Etisalat network then press 3 to view data menu and choose Smartpaks. How To Opt Out From 9MOBILE Smartpaks, Chatpack, Video pack. You can also opt out from 9MOBILE Smartpaks by dialing *343*5*0# and you are done. Do you encounter any problems or issues while trying to set this up, kindly ask more questions and if it works for you kindly share your experience!